I’m always amazed at everything you can buy on Amazon. It’s great for researching products and getting user input before buying. 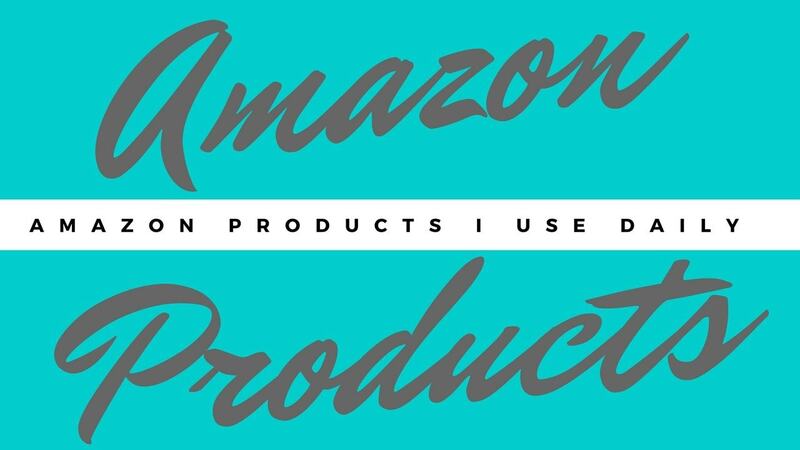 Amazon also typically has the best prices and with Amazon Prime you can quickly receive your purchase. Keith and I also use the Honey plug-in determine best price, track prices on future purchases and use coupon codes. It’s simple to use and save money! Just sign up and start saving. You can use this referral link to sign up. Free & Clear Set, includes Shampoo-12 Oz and Conditioner-12 Oz – One each. is my go-to hair product. I prefer to have 2 sets of hair care products in the shower and alternate each day. I always have this set and buy a few others to alternate in. Free and Clear seems to be a simple, effective product that keeps my hair balanced. is a great quality soap, versatile and saves me money on at least four other products; face wash, body wash, shaving cream and hand soap. It has many other uses, but this is how I use it daily. This is the face wash I use every morning. I just add a few drops directly to my dry skin, rub it on and rinse with room temperature water. I use Dr. Bronner’s on a loofa as body wash and as shaving cream. In an old foaming hand soap pump, I put in a small amount of Dr. Bronner’s and slowly fill the rest of the bottle with water. It does look a little cloudy, but is my favorite hand soap! Dr. Bronner’s leaves your skin feeling clean without overdrying. I mainly use the Hemp Tea Tree and Baby Unscented. The lavender has a nice scent, but I don’t prefer this on my face. It’s an added benefit having one bottle in your shower for several uses. This is also space saving for RV travel or other traveling. I typically purchase the 32oz bottle and refill my smaller bottles for the shower (16 oz) or weekend travel (4oz). is creamy enough to moisturize, but light on my skin. When I was ordering, I found a great deal! I ordered 3 of the 2 oz bottle at $1.09 each. I have one in my purse, one on the living room end table and one on my nightstand. This reminds me to use it! at the store, I didn’t realize there was a hand cream and a body cream. The body cream consistency is much thinner so I actually the prefer the thicker hand lotion because it seems to absorb better. I do like the thinner consistency as a body lotion. for over 4 years and they are my favorite earphones. I have the basic model (no mic) and I like how they fit and stay put in my ears. They are simple and always work well. I prefer these for the majority of my earphone use. since wired earphones didn’t work with the movements of weightlifting. It wasn’t long until I saw the benefits of the bluetooth option and ordered a pair for myself. I use these when I’m moving around; exercising, cooking, cleaning, etc. Since they have a mic and can be used with my cell phone, I often use them for calls while cooking/cleaning. ). I actually have 2 of the green because I was finding one was always in the dishwasher when I needed it. We try to eat a lot of vegetables and these knives are perfect for food prep. I use these knives 99.9% of the time I cook! I love these so much that I’ve bought them as gifts for others. The green knife is from pampered chef, I always ordered from a salesperson, but here is the Amazon link to the same product. I love this knife for cutting smaller vegetable; tomatoes, brussels sprouts, peppers, onions, etc. The purple knife has a little larger blade so it’s great for larger or firmer vegetables; potatoes, butternut squash, turnips, etc. The larger blade allows you to use your other hand for more pressure to easily cut vegetables. for packing my lunch years ago and have used them for so much more. They are a great sized sturdy bowl with a reliable seal. I use these bowls for single portions of fruit and homemade trail mix. I often store sliced lemons, green onions, homemade bacon bits and sauces/dressings in these bowls. They can be used many other ways too; to mix homemade face mask ingredients, hold treats for Lexi, mix dry rub ingredients, transport small portions for picnic toppings like cheese, salsa, etc. are also a great size. I only have 2 of these but should buy more. I mainly use these for single servings of salad dressing for lunch and to hold smaller amounts of coconut oil that I use as face moisturizer. I keep the larger jar in the vanity and fill this every 1-2 months. Again, the sturdy plastic and seal make this a great product! is perfect for washing fruits/vegetables and leaving them out to dry. It’s the first thing I grab after unpacking groceries. I wash all my food and use this every time. I like that the food can air dry better using this instead of being placed on a towel. It’s nice that you can roll or fold it to access the sink while in use or to change the size of the rack you need. , but I had a hard time stomaching the price. I thought about it and researched less expensive options for awhile before deciding. I cannot believe how much I use this and wish I would have bought sooner. It’s so convenient for small jobs and I use it often in my regular cleaning. It’s great for stairs, under/behind furniture, in the car and RV. It’s small and you can reach awkward spaces with the attachments. It was a splurge item for me and I don’t regret it one bit. are so comfortable and versatile! They are like basic flip flops, but so much better. I wear them every day in the summer. Simple for the pool or with athletic shorts and cute with everyday shorts or a casual dress. I’ve walked many miles in these and it took a lot for my feet to hurt, an entire day of walking in Las Vegas in 110+ heat! My feet swelled a bit and the straps began to rub on my feet. This was the only time I’ve ever been uncomfortable in these shoes. I recently asked for a second pair at Christmas. What are some of your favorite Amazon buys? Comment below and share your recommended purchases.